Preceded in death by her beloved husband, Ralph O. Litton, whom she was married to for 35 years. 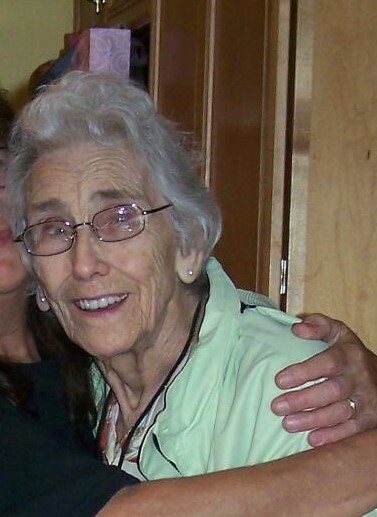 Beloved mother of Joann (Jody) Pettyjohn and Linda Sue Litton. Loving Great Grandmother (Grannie) to Mark Allen Holtman (Trisha), Jamie Marie Holtman, Bryan Allen McKewen, Benjamin Aaron McKewen and Sarah Nicole Harris. Great-Great Grandmother to Winry Marie McKewen. And Grandchildren including Michael, Travis, Hunter and Jennifer all from South Florida. Grannie was "our matriarch" of the family raising her 2 daughters, helped raising her 2 grand-daughters and 5 great-grand children. She taught us a lot about love and the meaning of family. Sharing many family stories and her wisdom. She loved each of us unconditionally. She was very proud of all our accomplishments and made each of us feel like a stars. She enjoyed spoiling each of us in her special way. Her home was our home and we all spent many nights with her. She was a great listener, offering words of wisdom and all too often our problem solver. Grannie loved cooking her special dishes for us, but we knew the "wooden spoon" was not always for cooking! She was a precious gift, filling our lives with many memories which will continue to bring a smile on our face and in our hearts. She called us her angels and now she is ours. Memorials suggested to Cincinnati Hospice.